Whatever happened to interfaith dialogue!? Whatever happened to clearing up the “misconceptions” of Islam? Oh, I forgot….Muslim propagandists only want dialogue when the recipients of it are naïve and trusting non-Muslims. NYC Muslima Activist Blows a Gasket……Again! IMona Eltahawy tatsf you travel the social media networks you might have noticed that there are plenty of Muslims on it who fancy themselves as “human rights” activists. But in reality they are supporting what is a disgrace to humanity. Islam. Today we will take a look at NY’s Mona Elthaway. A Muslim who supposedly fights for the rights of females, but in the end shoots herself in the foot by remaining a member of the ummah (Muslim community). Yesterday I started a new Logan’s Warning series entitled “Traitors Among us”. It is an effort to highlight the fact that a Muslim does not have to be a member of a major Islamic organization to be a threat to America. Showing how Islam turns citizens against their own country. A treacherous way of life. Today I am also starting a new series, this one is obviously entitled “Muslims on the run”. It will be used to show how Muslims lie and deceive like this is no tomorrow. Just as instructed by their hero Mohammad. USA: Popular Muslim Comedian: Muslims CANNOT be Stopped! Last night on Twitter I was talking to numerous Muslims about Butterball being deceitful by, shoving halal Turkeys down the throats of unsuspecting non-Muslims. Of course the Muslims I had spoken to did not care that halal was forced on non-Muslims. Imam Leads Prayers at Washington Cathedral! Unfortunately this past weekend was the weekend that Churches across America opened their doors to the enemy. That enemy is Islam! One of my goals is to awaken my fellow Americans, to the threat of Sharia taken place within our country. 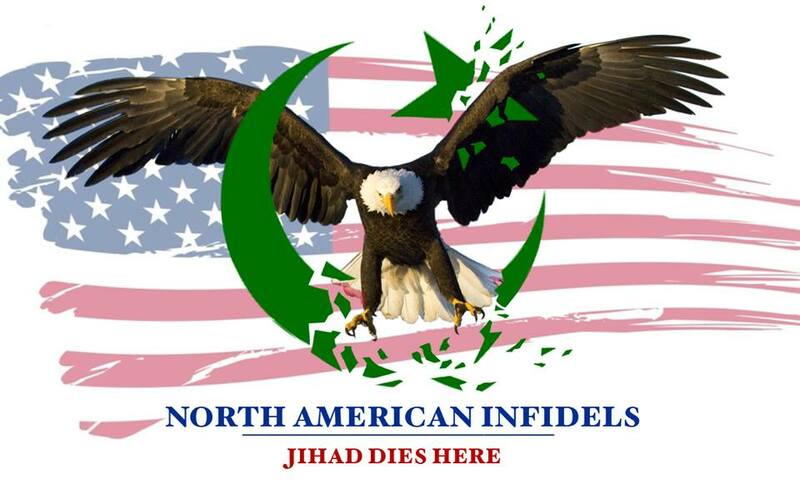 Just minutes ago, I posted an article entitled “NY: Islamic School/Community Teaching Children Sharia”, and now I have come across another Islamic center which is a threat to America. The Islamic Association of Raleigh, 808 Atwater St. Raleigh NC, has announced they will be working with the Sharia Academy of America. The Sharia Academy of America has online courses, as well as branches in Detroit, Houston, Montreal Canada, and Tampa Florida. This event took place in June, but it still needs to be pointed out.